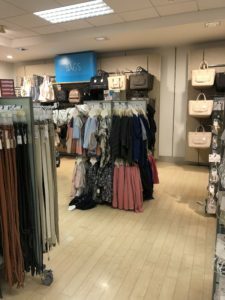 Welcome to the very first Mystery Shop Monday and where better to start than a very well known high street retail store. Think we all pop in to Primark from time to time, don’t we? 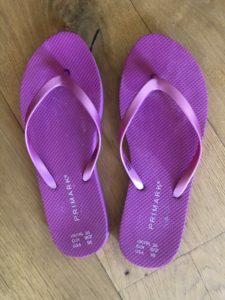 Having being reluctant to buy online for fear of getting something which was as far from a flip-flop as you can get, I had been directed to Primark by a friend to pick up a pair. It was the ideal opportunity to test out the first mystery shop and pick up a few holiday essentials at the same time! When I walked into the store there was one assistant organising clothes rails and I couldn’t see anyone else. To be fair, I am teeny weeny and the display units are stacked up so high that I’d need to be in there to buy a pair of heels, never mind flip flops, in order to be able to see anything at all. I had to ask where the T-shirts were and the assistant vaguely gestured to another part of the store. I do realise that I was in there for flip-flops but since when did we ever go shopping for one thing and not pick up something else while we are there? Staff at the checkout were pleasant enough, not overly friendly but that was fine. I didn’t expect red carpet treatment, just a thank you and goodbye, which I got. 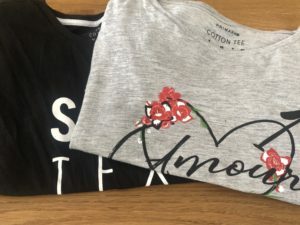 I managed to find the T-shirts despite lack of real direction and although unable to navigate myself out of a paper bag on a regular basis, managed to track down the flip- flops without having to ask for further assistance. There was one T-shirt I particularly liked but couldn’t see anyone to ask if they had any in my size so gave up. The staff at the checkout managed to put my purchases through the till with no issues. Payment was successful; bag was not offered but produced instead with a triumphant flourish and the sale was complete. There was a long queue to pay at both of the checkouts. However, the fact that the two assistants were having a nice chat in between serving each customer might have added to the wait. I’ve nothing against work morale, chats to help the day go by etc. but when you’re serving customers, they should be your priority, not who has a date with who. My 3 x T-shirts and flip- flops cost just under a tenner so I don’t expect them to last much longer than one summer. I was in town anyway so it was quick and convenient to pop in and as I was on a bit of a time push with holidays approaching, it saved me hours of online research into Britain’s best flip flops. Unfortunately, the T-shirts have not faired well in their first wash and are now more like crop tops for Janette Krankie BUT I do love my new flip-flops. I thought they would be like wearing scissors at the bargain price of 99p but they are really very comfortable. I think I’ll even pick up a few more pairs when am next in town. I have to be honest, for what I bought and what I paid the overall experience was fine. No doubt I’ll pop in there again soon and accidentally find what I’m looking for, not be able to locate an assistant to help when needed and stand in the same queues. It was a no frills experience but I wouldn’t have expected anything else. I didn’t encounter any major issues and although it might have been interesting if there had been something to grumble about to see how staff handled a complaint, I think I’ve covered quite enough for my first mystery shop. It’s nice to start on a semi high! But will it continue? Find out next week! Cin cin! I will watch this series with interest! 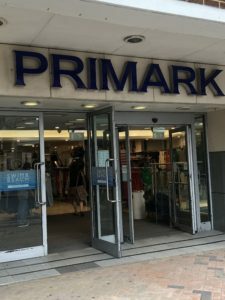 Primark is always a bit of a gamble, usually the heat in the stores is enough to put me off. However, I have purchased one of my most comfortable pair of pumps for £3 and am sad that I have been unable to find a similar pair there since. Thanks Kim,agreed, think Primark is always a bit of a gamble and the stores can be very busy and hot. You can get the odd brilliant purchase there like my flip flops and your pumps but no doubt when I pop back, there’ll be no sign of my flip flops anymore either! It’s an odd thing having to set one’s expectations lower as it is cheap! But we all still shop there! 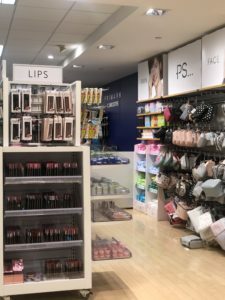 Agreed, expectations are lower in a store such as Primark although budget product shouldn’t necessarily mean budget service, or should it? ok forward to more mystery shopper posts. Thanks yes I agree, it can be very hit and miss there! Lovely to hear you enjoyed the post and are looking forward to hearing more Mystery Shop reviews!